Apple announced the Apple TV 4K last week alongside its new iPhone, with the promise of updating the iTunes Store with fresh HDR video content. While HDR video is ideal for the Apple TV 4K, a report by The Verge reveals how it fairs on Apple's 2017 iPad Pro range. Apple launched its new 10.5-inch and 12.9-inch iPad Pro variants at WWDC earlier in June this year which came with a HDR video-compatible display. While not a whole lot of HDR content was found on the iTunes Store for users to see the difference, iPad Pro users could start reaping its benefits for the first time now. The option of downloading HDR content is limited to iOS 11 public beta users for now, but will be available for all 2017 iPad Pro users once the final release of iOS 11 takes place on 19 September. According to the report, updating to iOS 11 immediately shows up a new option in the video section which allows HDR versions of movies to be downloaded directly on to the device. Though Apple made no mention of the iPad Pro compatibility during its Apple TV 4K keynote, the iPad Pro packs in a HDR-ready display capable of playing both HDR10 and Dolby Vision formats up to 120 frames per second. There is a drawback here however as the content is capped at 1080p and not 4K. 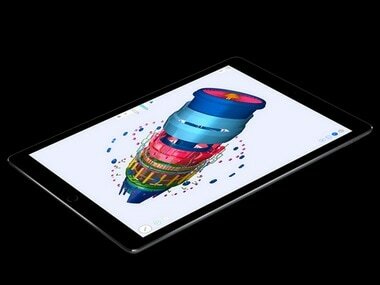 The added ability on the 2017 iPad Pro should make it an even more compelling buy for tablet users, along with a number of features added to the iPad Pro with iOS 11.